Decided to DIY for your Christmas gifts this year? 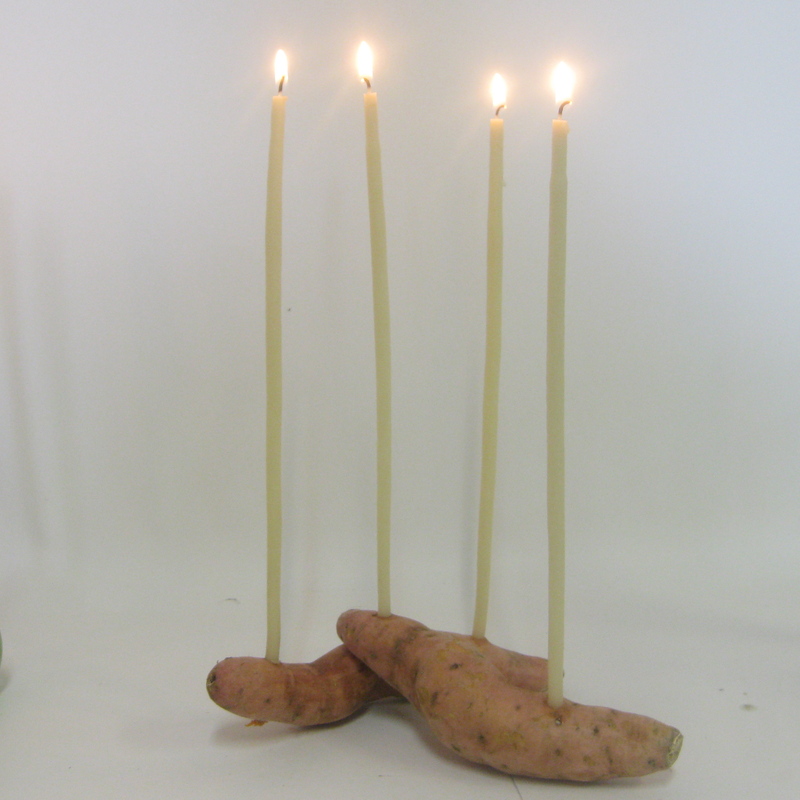 While every candle at Queen B is made with love (which is why we still make every candle by hand rather than churning them out of a machine) we know we have lots of customers who also like to make gifts for themselves. And who doesn’t love a hand-made, heart filled, thoughtful gift? So I thought I’d put together a post with a few make your own gift ideas. I’m revisiting a couple of blog posts from a while back for this one (no point in reinventing the wheel – they’re 2 of our most popular posts)! 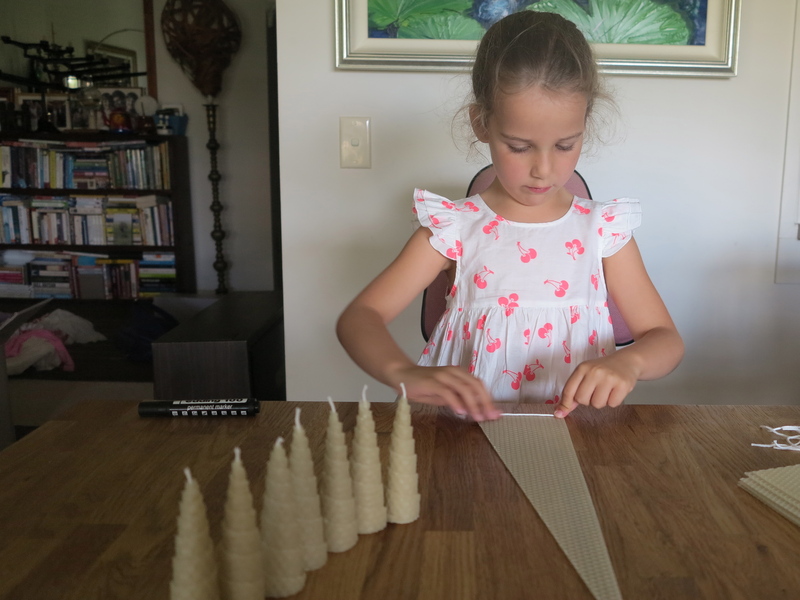 Back in October 2012, I blogged about Rolling Your Own Bees wax Christmas Tree Candles. 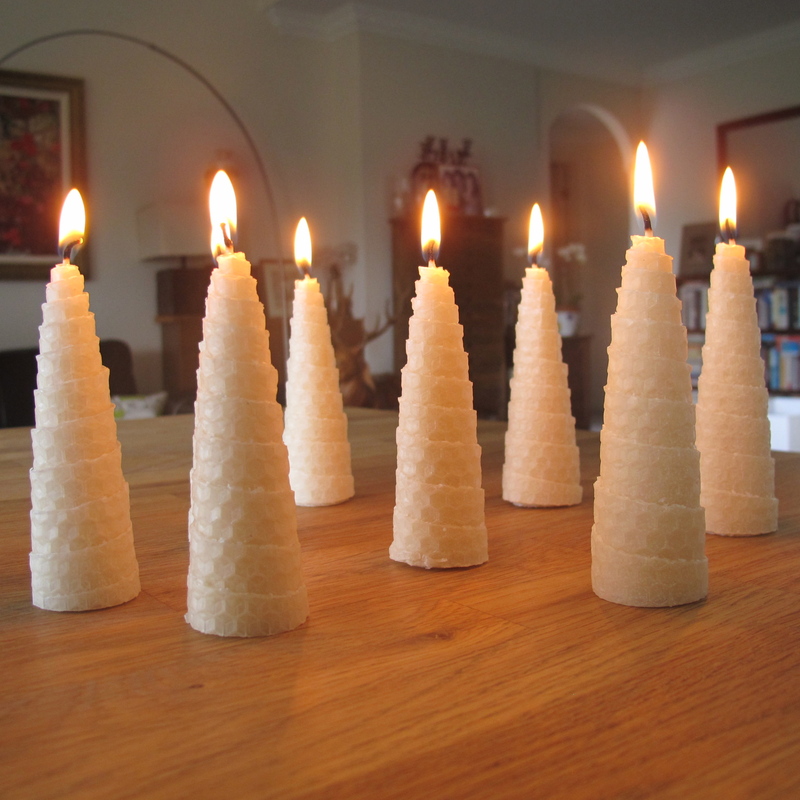 With a step by step guide, in 8 simple steps you can roll these beautiful Christmas Tree candles. Our Roll Your Own kit has enough wax to make 16 trees (at $39.95 that’s $2.50 per tree) or, if you’re REALLY keen (or have loads of friends 🙂 ) you could go for the World’s Most Thoughtful Gift which has enough wax to roll 69 trees (at $120 that’s $1.74 per tree). Which brings me to my second DIY gift idea which is rolling taper candles and tying a special thought / wish / IOU / or message to them. I got this idea from a customer and was so enchanted by it that I blogged about it and then created The World’s Most Thoughtful gift. I’ve used the idea for gifts many times since as I couldn’t think of anything nicer than unwrapping a gift with a beautiful, personalised thought to light up my week! I’ve had feedback from dozens of customers since who have used the idea. 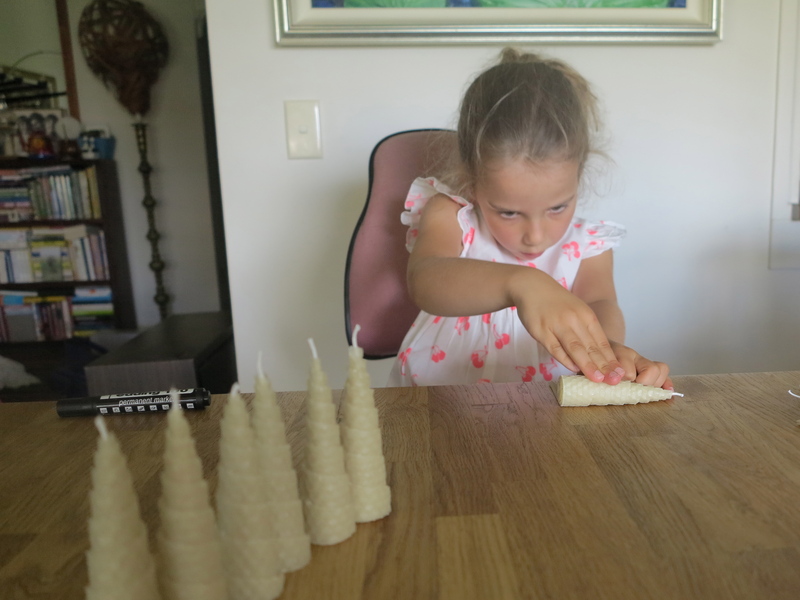 Some doing smaller bundles of 2 or 4 candles and one we had just last week who used the kit as a wedding gift from a group of people. 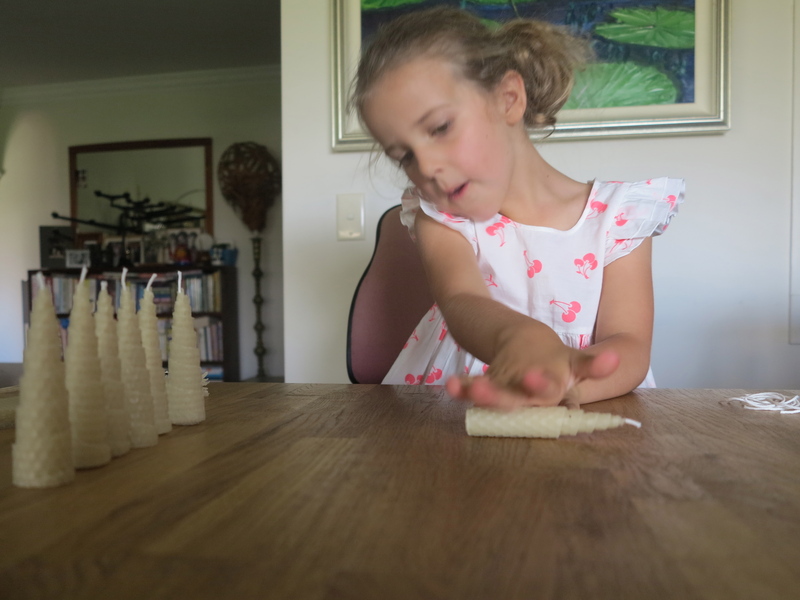 Our customer sent us a gorgeous email reading “Bought your pack of 52 candles to roll last week – thank you, thank you, thank you! It really was the best wedding present ever! 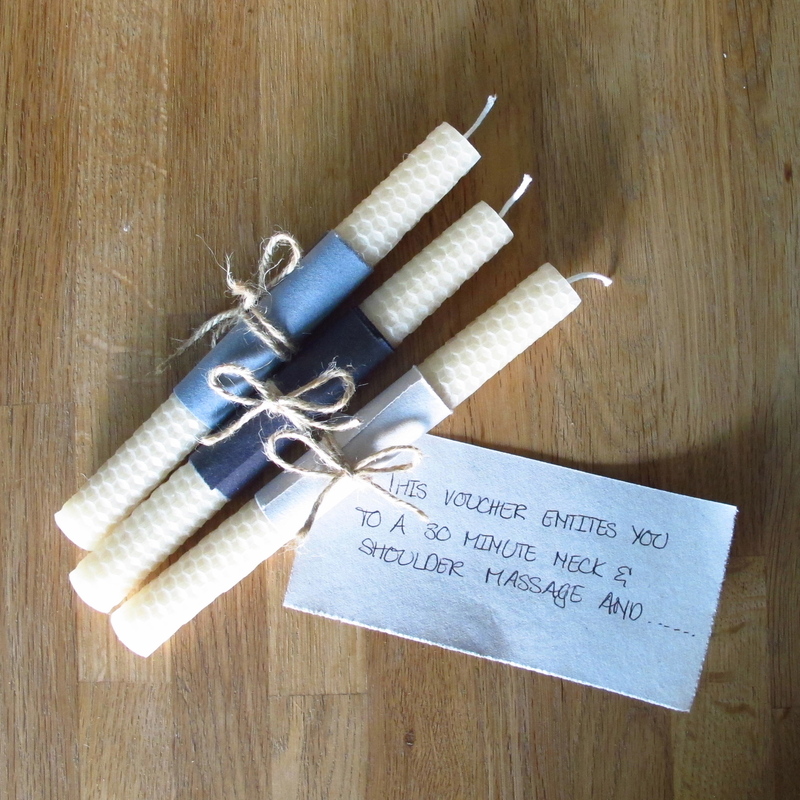 Each of our 21 staff were inspired to write a few wishes and roll the candles which we then put in a gorgeous box (which exactly fit 4 rows of 13, pleasing the OCD’ers amongst us) and gave to our young co-worker today – she is getting married on 22nd. 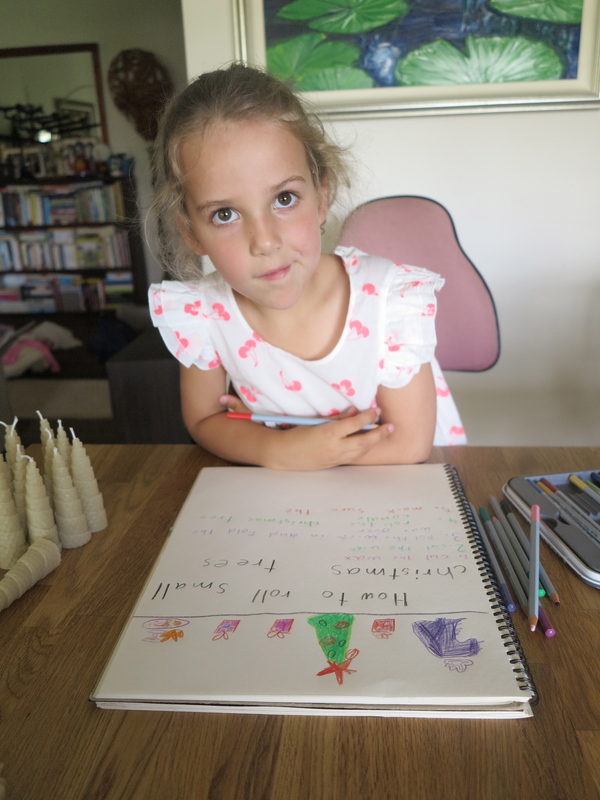 She was thrilled and now has beautiful wishes (although I think some may be a bit saucy!) for a whole year.” You’ve got to love feedback that puts a smile on your face! 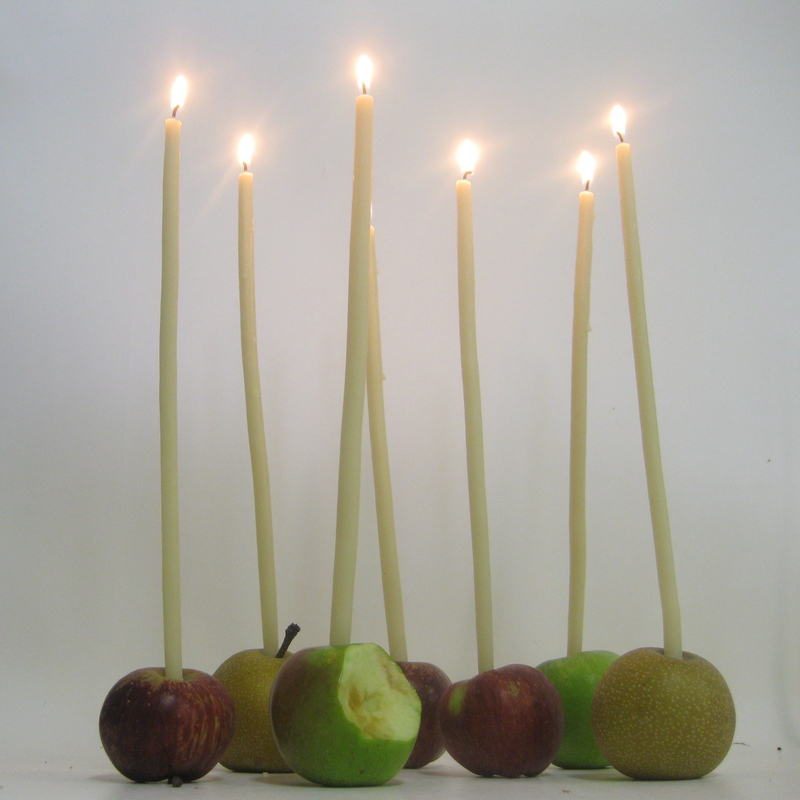 If you’re having a DIY gifts year, let us know what your favourite ideas are (even if they have nothing to do with beeswax candles 🙂 ) and, if you do decide to use the kits, let us know how you go. If you’ve ever ordered from us online, you would have received a copy of our educational information cards. Well they’re about to run out so we’re going to do an overhaul. In particular, this time I would like to do one which shows some of the imaginative ways of using Bee Lights. I often speak to customers who don’t use them because they don’t know what to burn them in… and that’s a crying shame as I think they’re one of the most beautiful things we make. So, they say that a picture speaks a thousand words! 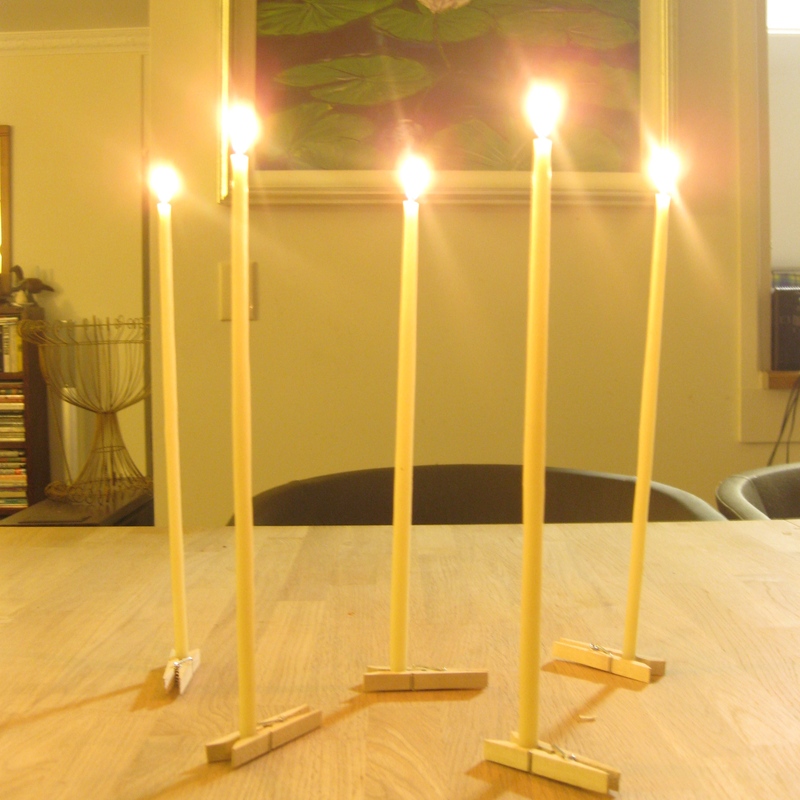 Let’s show them the million things you can use as a Bee Light candleholder. Stuff to know: By entering you expressly give us permission to use your image in social media and online (that’s pretty obvious given you would have posted it online!) and we undertake that anywhere that we use the image we will credit you as the photographer (unless you say you don’t want us to)! For the images used on the printed info cards we will most likely not credit photographers as it can make things look cluttered and messy given the images will be quite small. Here are a few of the idea I had when I first photographed them (you’ll see why I need help with the photography)! Some people think I’m quite tough. Anyone who has seen me with my niece will know I’m a complete walkover. Pathetic. Weak willed. Putty. Wrapped around a 6 year old finger. Thankfully the extent of her manipulations at this stage only involves decanting honey (she gets to control the lever, put on the lids… oh, and clean up the drips! 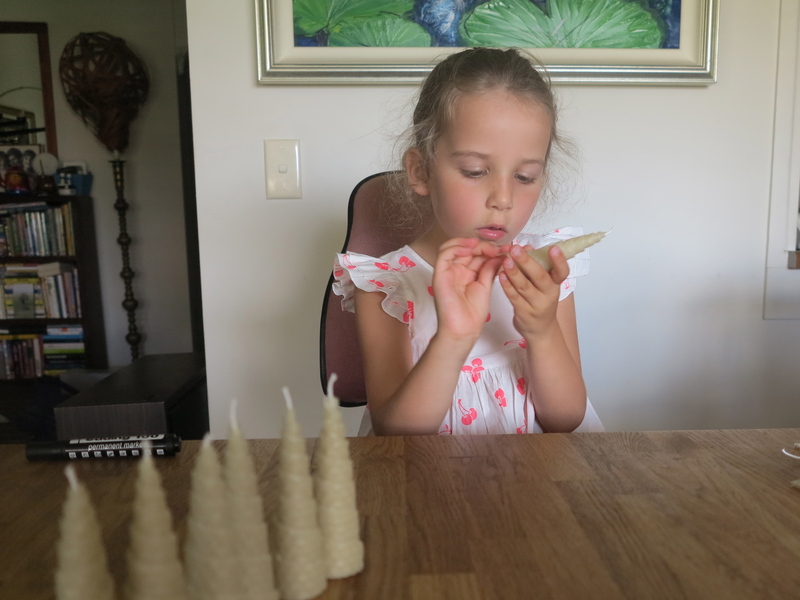 ), tasting honey, rolling beeswax candles and watching the River Cottage series or Monty Don’s My Dream Farm! Knowing I’m not a fan of TV she suggests that we put on an “educational DVD”. As I say, putty (and, hopefully, a farmer in the making)! 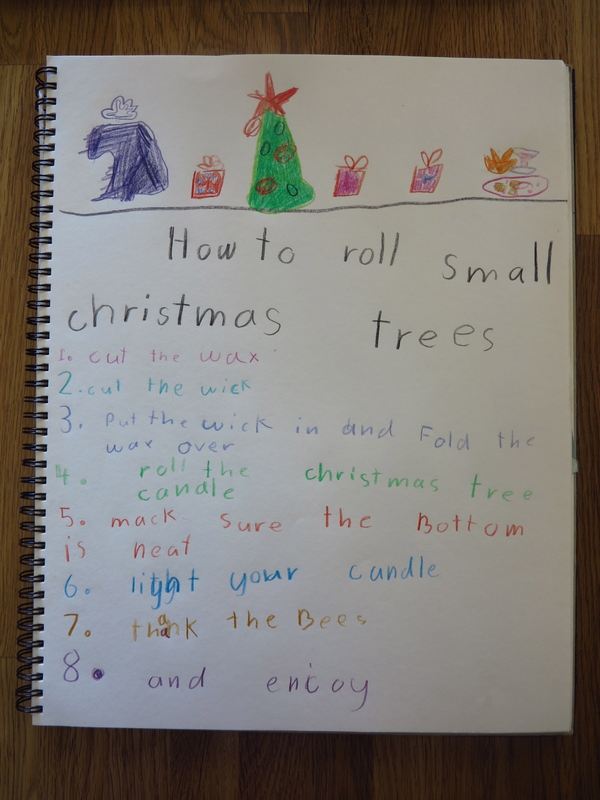 Today she announced that she’d like to roll christmas trees and write instructions for other kids “so that they can be as lucky as I am, Kookie”! I kid you not. While I rolled our big pillars, she rolled Christmas trees. If you’ve followed my blog, you know I’m not known for brevity, but in this case I’ll let the pictures do the talking. For the record, wording and spelling are her own! 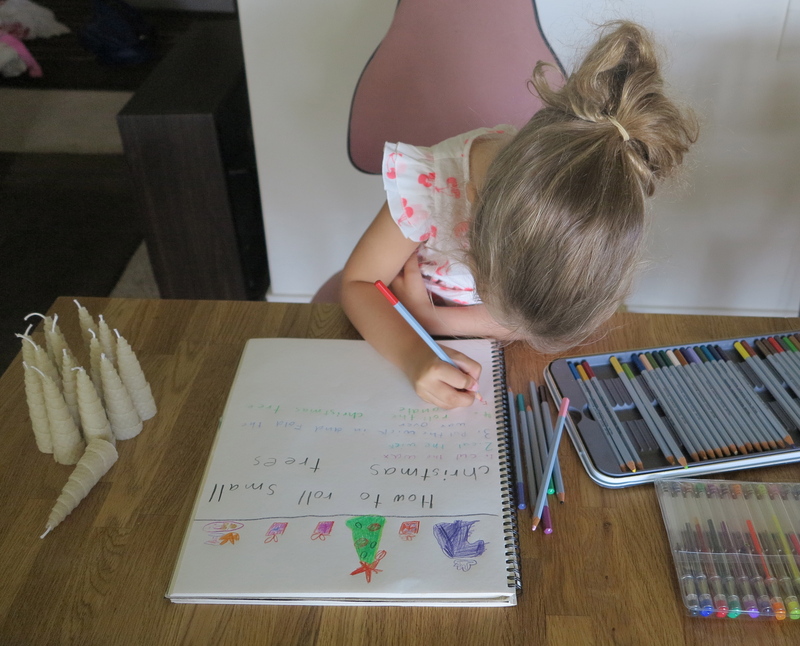 [Spelling corrections suggested by putty auntie]. Being an auntie is surely one of the greatest privileges that life has to offer.